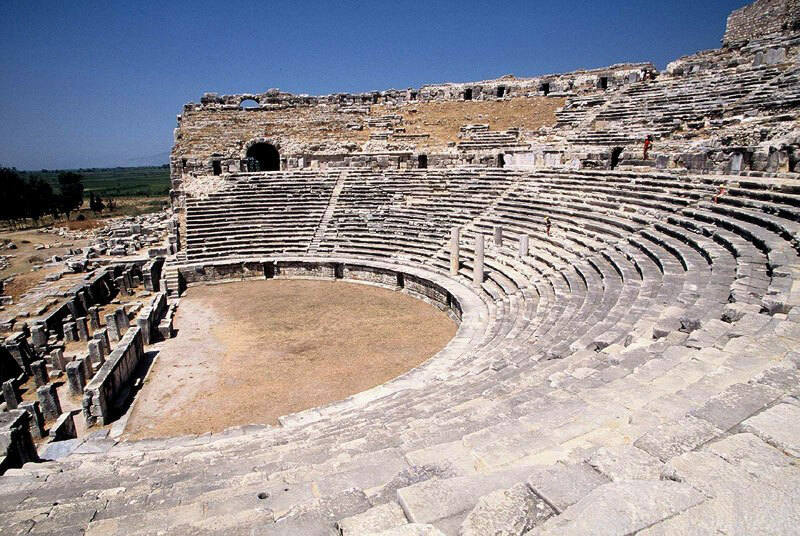 The Theatre is in the northern part of the peninsula of Miletus. 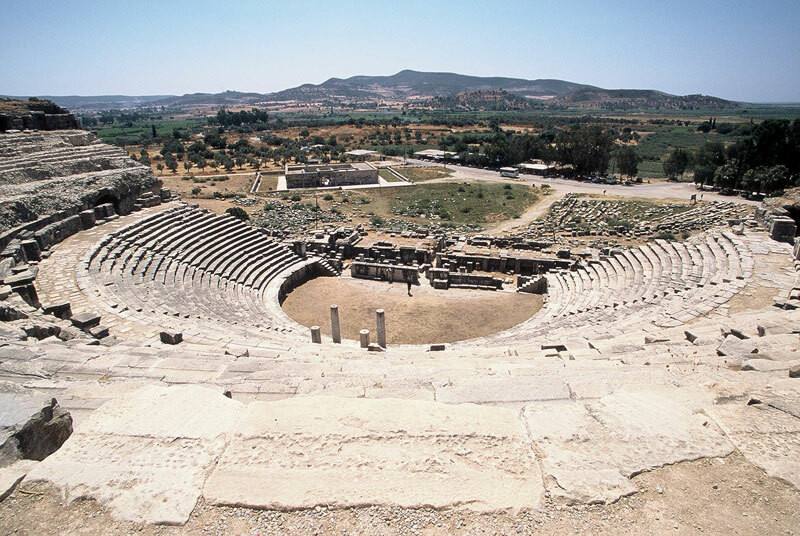 It was first built in the 4th century BC as a Greek theatre. Its cavea is bigger than a semicircle, was partly propped against the natural rock and had a rectangular skene. It was directed SW so that the spectators could enjoy the wonderful view to the sea and the southern part of the city. 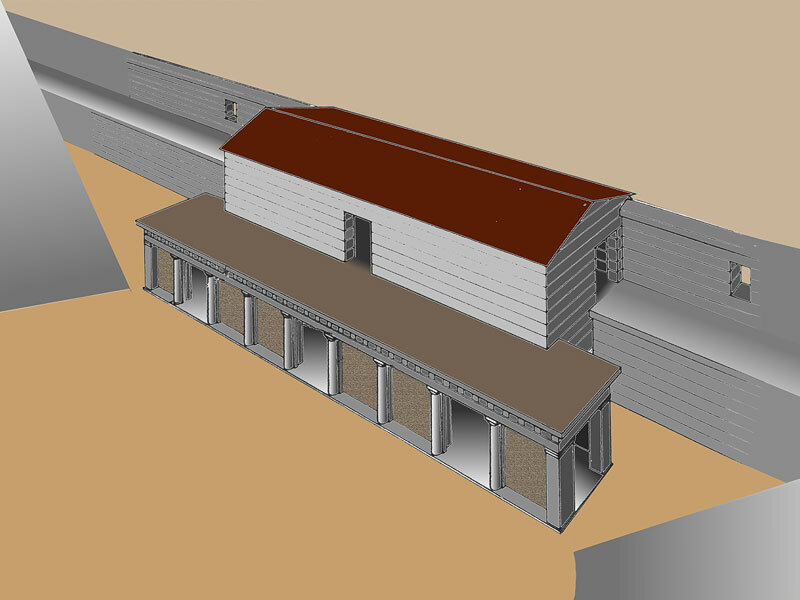 In the Hellenistic years the skene had two floors and a proscenium was added, on top of which there was a trapezoid logeion, while the cavea was extended so that the theatre could accommodate about 5,300 spectators. 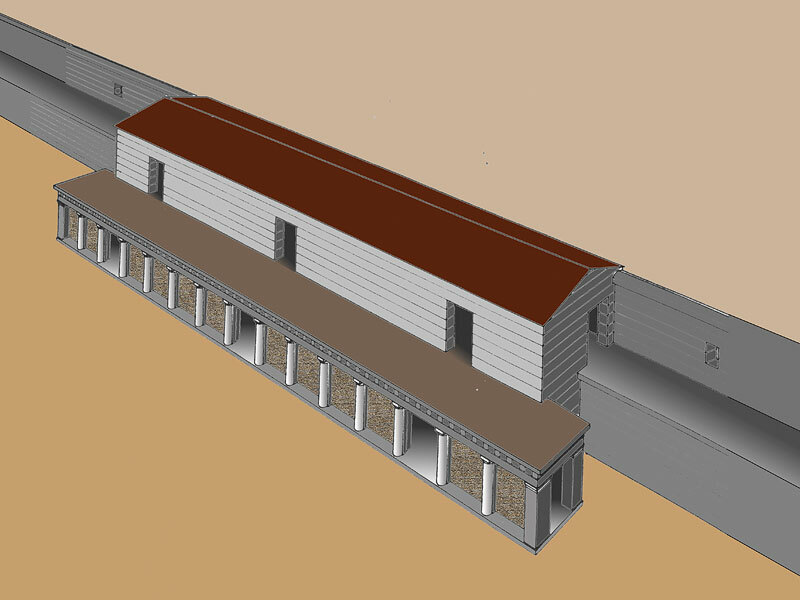 In the Roman period, possibly in the years of Nero, the Hellenistic theatre of Miletus was remodelled into a theatre of the Roman type of Asia Minor: the two-storey skene had a luxurious facade (scaenae frons) made of colourful marble and rich architectural and sculptural decoration. The floor of the orchestra was covered with red marble slabs. 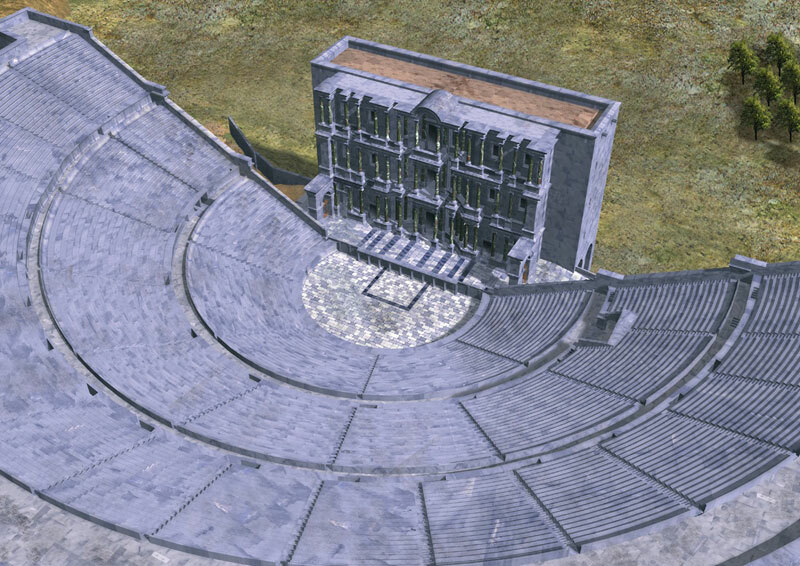 It was converted into an arena and was used for gladiator combats. 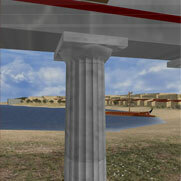 Thus, the first tiers of seats were removed and a protective parapet was constructed. 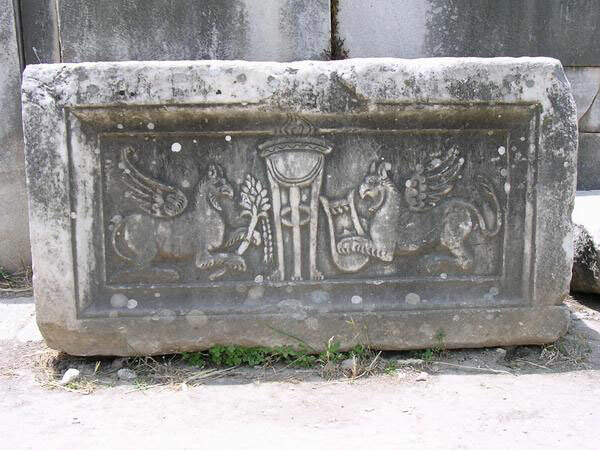 New works were carried out towards the late 2nd century BC, when the skene had three floors, with the last floor being decorated with a relief frieze depicting deities and Eros hunting wild beasts. 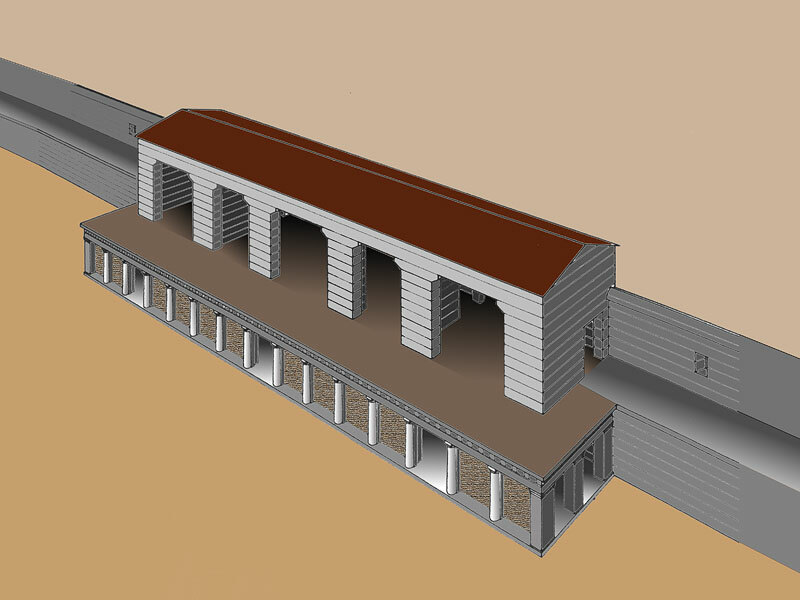 The imperial box (tribunal) in the middle of the cavea was constructed in the same period and was based on four columns. The seating capacity of the theatre was about 15,000. It has been restored and is the best preserved building of the city.